COOPERSTOWN – Betty P. Ingalls, 95, passed away Wednesday morning, July 25, 2018, at her home in the Cooper Lane Apartments in Cooperstown with her son and daughter-in-law at her side. She was born December 20, 1922, in Binghamton, a daughter of Walter F. and Beatrice (Marvin) Niles. After graduating from high school, she attended Wheaton College where she received a bachelor’s degree. She then attended the State University College of Education in Oneonta where she became certified as a teacher. After realizing that teaching was not for her, Betty joined the family printing business, Niles & Phipps, where she served as a secretary. When her husband, William G. Phipps, died in 1993, the business closed and she went to work as a secretary for the First Christian Church in Binghamton until she retired. 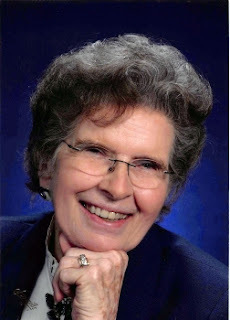 A devout and faithful Christian, Betty was an active member of the Community Bible Chapel in Toddsville. Betty is survived by her son, Jonathan N. Phipps and his wife, Kim McArdle-Phipps of Ontario, Canada. In addition to her first husband, William, she was predeceased in 2013 by her second husband, Rodney Howard Ingalls of Hartwick Seminary. A celebration of Betty's life will be held at 11 a.m. on Saturday, September 22, 2018, at the Community Bible Chapel, 577 Greenough Road, Cooperstown.